Welcome to a crazy game show hosted by Mr. McMonkey! Action Clam and Cow compete to win a golden banana and you need to guess whether they will crash, splash or moo on each stunt. 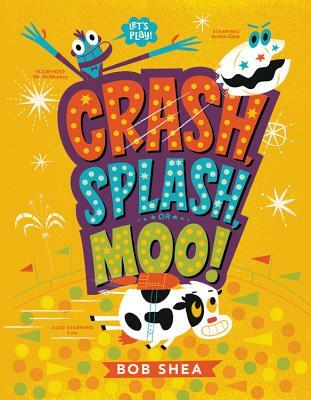 A silly, very fun story that will delight all readers!